The contrast is stark between the old and the new. Brighter colours, more ventilation and natural lighting are the hallmarks of the Landmark structure which has replaced an aging bricked restroom in this park in Keysborough, Melbourne. 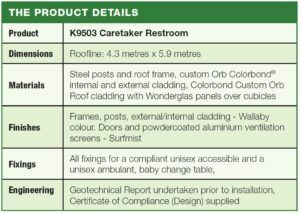 The Landmark Caretaker Restroom is also easier to maintain thanks to the 50mm clearance under wall frames allowing hosing out and quick drying. This restroom was supplied (in kit-form) and installed by Landmark in Roth Hetherington Reserve, a neighbourhood park in Keysborough. 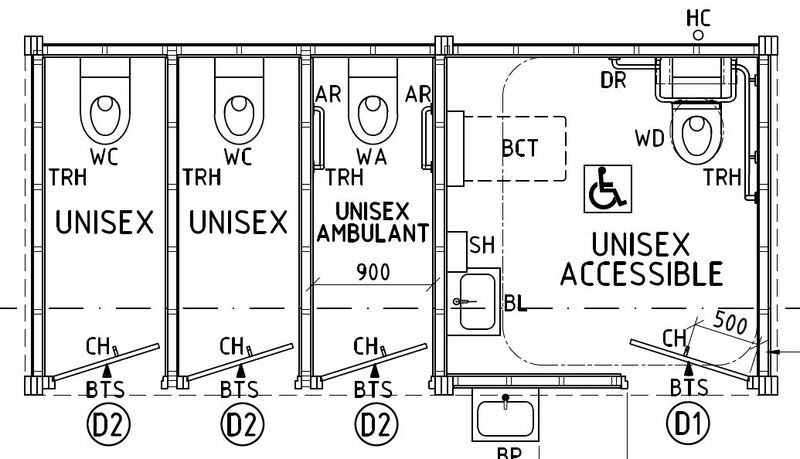 It’s added features are also an upgrade from the former, with the 5.5 square metre unisex accessible cubicle featuring a baby change table. 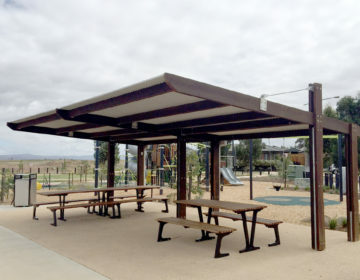 The service duct at the rear allows for easy maintenance and access to plumbing services, and the skillion roof offers additional shade and shelter for park visitors. Landmark Products’ design team delivered a complete set of plans, including frame plan, slab plan, hydraulic layout, electric layout and cubicle fit-out details. The installation team demolished the previous brick structure, and coordinated contractors, including soil reports, concreters and electricians, to install the new restroom. The result is a breezy, bright, easily maintained structure.